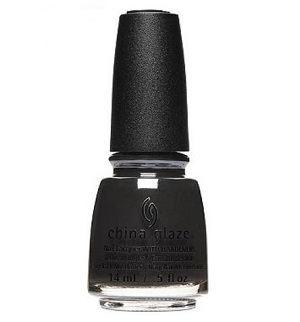 China Glaze Matte Nail Polish, Shadies & Gentlemen, 1636, .50 fl. oz. Black nail color with a matte finish. Paint It Black Collection, Halloween 2018.